સદ શ્રી ગુણાતીતાનંદસ્વામીની વાતો ( સ્વામીની વાતો ) MP3 Audio . Hello Jay Swaminarayan, I really enjoy the site and I notice need to improve the web sites. Thanks you, Rhaji Rah jo ! Hello, I really appreciate this online presence of swami ni vato in Audio formate. Now i want to request you, may you please add one zip file, so we can down load all MP3 from one zip file. 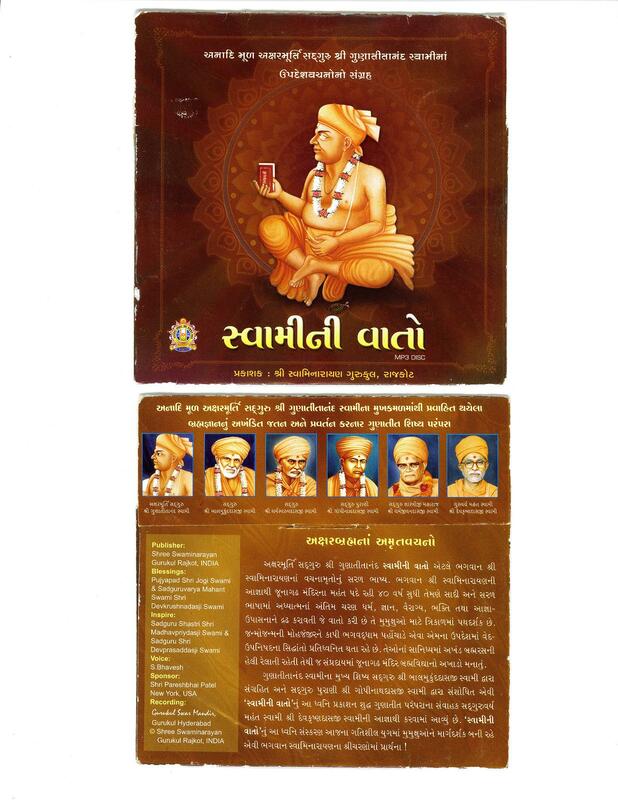 AS we seen about User Experience, then it really help for all , only in one click user able to download FULL AUDIO of swami ni VAto. Awaiting for your kind revert. Thanks. Jay swaminarayan! !